Trevecca is a Christian university in the heart of Nashville. 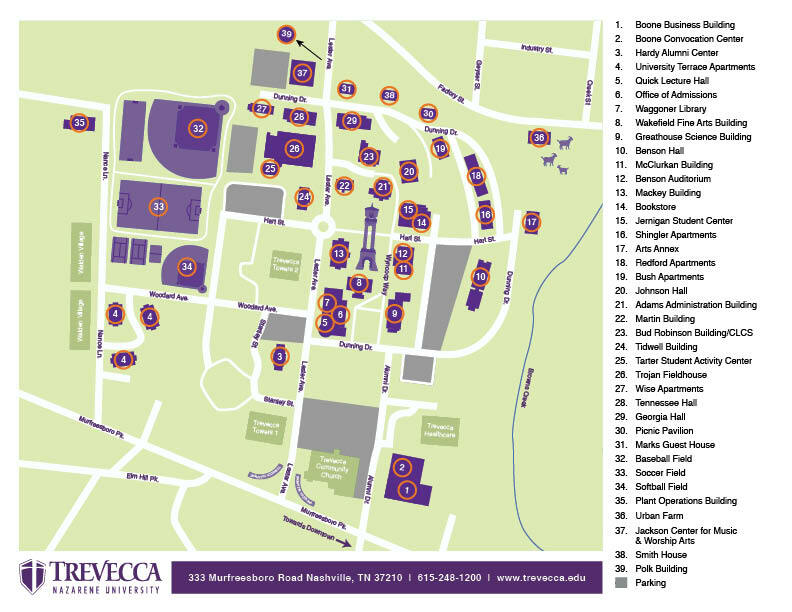 Located just minutes from downtown, Trevecca’s central location makes it easy for you to get around town. There’s plenty to see and do in Nashville, one of the country’s fastest growing cities. If you’d like to see more of the country, Nashville is perfectly situated for travel. Three major interstates converge in Nashville, making it a day’s drive away from many regional cities and other destinations. If you’d prefer to fly, Nashville International Airport (BNA) is just a few minutes from campus and served by all major airlines.